Set in fantasy realities, a 4X turn-based strategy by an independent studio Amplitude known for the space strategy game – Endless Space. The action takes us to Auria, a fantasy world which was once hit by a devastating cataclysm that pushed the civilization into the abyss. Endless Legend for PC is a fantasy turn-based 4X strategy. It was developed by Amplitude studio after the success of their previous game - Endless Space. The action takes place in a magical land - Auria. In the distant past, there was a disaster that wiped out all the civilizations from the face of the planet. Now, there are signs indicating that a similar apocalypse might happen again - during the past few years winter has been gettig increasingly worse. The main protagonist is a sovereign of a small town, and the players’ task is to transform a modest community into a real empire. It is obvious, that it requires erecting new buildings, setting up additional towns, taking care of the economy, and conducting researches on the technology. All the actions should be balanced properly, to provide the inhabitants food and a shelter on the one hand, and still have funds for investment and development of our country on the other. Sooner or later, this expansion leads to conflict with other nations. The authors have developed a turn-based battle system, which takes place on three-dimensional maps covered with hexagonal spaces. The battles are conducted using simple interface that hides a lot of tactical layers. The key to success lies in using the land or the formation. The creators have not forgotten about the players who prefer more peaceful methods of development - the success can also be achieved using pacifist methods. Endless Legend for PC rich with RPG elements. During the game, the characters regularly take part in different adventures where they can discover the secrets of lost civilizations and return home with magical artifacts. What is more, every success - both in the expeditions and battles - provides experience points that can help develop the skills of heroes. Game score 8.5 / 10 calculated out of 360 players' votes. Expectations before the premiere: 8.0 / 10 calculated out of 76 players' votes. 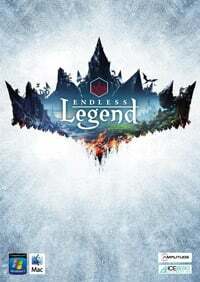 In Endless Legend the player takes on the role of one of the races that dwell in Auriga, which thanks to the power of money, war and diplomacy intends to seize control over the entire land.